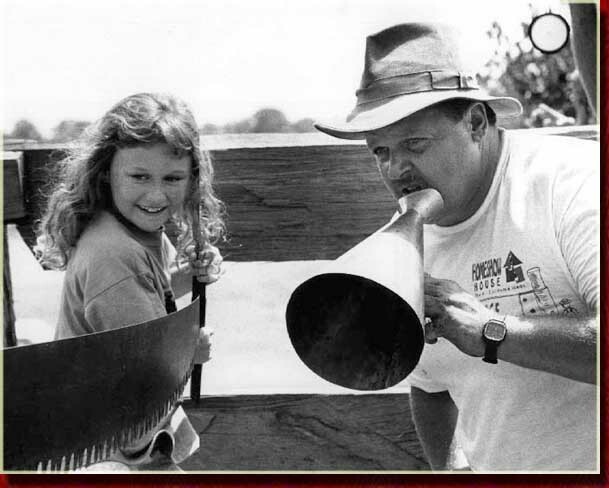 In 1992 Stan was approached by Australia's premier promotion company, Riddel Exhibition Promotion, Melbourne, Victoria, and asked to travel to various locations to entertain visitors at their renowned shows entitled the "Timber & Working with Wood Show." These shows are held annually in Brisbane, Sydney, Melbourne, Adelaid and Perth and are of world class standard. Each city show is of three days duration and attracts approximately 25,000 visitors. Stan has added a nostalgic dimension to these shows with his demonstrations of shingle splitting and traditional bush craft. He has amused thousands with his humorous manner and his very entertaining cross cut saw race. A large number of Stan's visitors spend between 30 minutes and 1 hour watching and listening to Stan's demonstrations. Stan incorporates audience participation into his demonstrations which make them both informative and entertaining. Many of the visitors introduce themselves after the show and praise Stan for his showmanship and entertaining qualities. Many letters have been received after the Riddell shows complimenting Stan on his demonstrations. 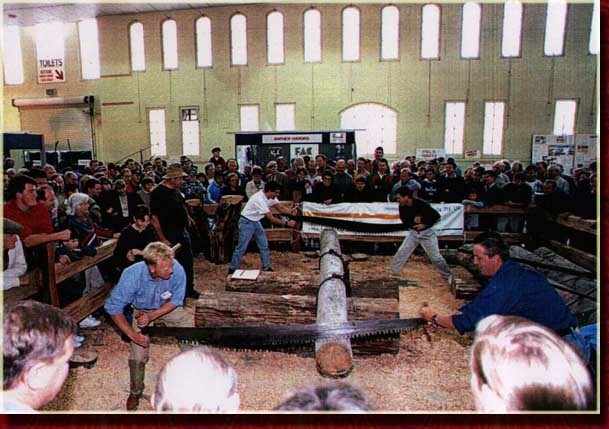 Stan's segment, the "Bush Crafts and Timber Skills, incorporating the Great Saw Race" (cross-cut saw race) is heralded as the feature attraction of all Riddell Wood Shows. Stan regularly gives interviews to major radio stations to promote the shows. Both television Channels 9 and 10 have shot footage of Stan for inclusion in television promotions. 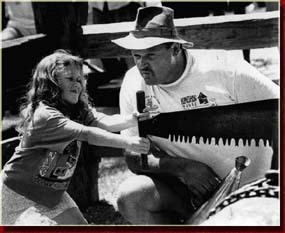 Stan Ceglinski is regarded as the Australian Bushcrafts & Timber Skills entertainer and is highly regarded by Australia's finest woodcrafts people. As well as the wood shows, Stan also attends a number of select shows each year, e.g.